A conclusion that fizzles and fades as opposed to going out with a definitive bang, Halo: Reach will leave players with a lot to be desired from a title that is only held together at the seams by its addictive multiplayer. This is it. You’ve aged that cache of Mountain Dew Game Fuel in your finished basement for three years sinceHalo 3. You bit the bullet on your purchase of Halo: ODST to find out it was as tame as you had expected. You took another one on the chin with Halo Wars, which was a cheaper gimmick than Lion King toys in a McDonald's Happy Meal (stupid Ensemble Studios). The wait for redemption is finally here. The golden child to a decade’s long culmination of gaming’s premier and most coveted franchise has arrived. Ladies and gentlemen, Halo: Reach has entered the building. With that being said, any reviewer praising this campaign as the greatest in the series is exhibiting some sort of sentiment towards this being Bungie’s ride into the sunset. The story behind Reach is very easily the most anti-climactic, insipid, drawn-out, and forgettable campaign in the franchise, and out of any game in recent memory. It was extremely uneventful and is second only to that of ODST in the series. It tries to paint an intimate portrait around the trials and tribulations of Noble Team, an elite group of Spartans stationed on Reach, and allots a noticeable portion of the single-player to backtracking. Its artsy, cinematic approach and attempts at churning up an attachment to this uninteresting and poorly articulated cast leaves a lot to be desired, aspirations that will never be filled by a fleeting Bungie at production’s helm. It has its moments, but like a summer box office hit, is never much more than a drum solo and guitar riff leading into a large explosion. A word of caution: this is the HARDEST Legendary mode out of the entire franchise and you will die more times than their are pennies in this game's price. Bungie added cooperative scaling to the campaign, meaning the more people you play with, the game is made that many times more difficult. It would be easier to perform open heart surgery during a San Francisco earthquake on Rollerblades than it would be completing this game. Coupled with this, the checkpoint save system is extremely inconsistent, and is often times a worse enemy than the Covenant Elites. There were so many instances of half hour trial-and-error battles with friends that we would pass through, to die shortly after in another skirmish and have to reply the entire mind-numbing portion all over again. Almost as much a constant as the frustration was the tremendously unacceptable level of slowdown found in intense firefights. Maybe it was caused by the rendering of some of the gorgeous distant backgrounds or the lighting and shading of the new graphics system. Whatever the cause, their seemed to be an extremely high percentage of frame rate lag in the campaign with a full party, with some parts becoming practically unplayable. Needless to say, the graphics look great for aHalo game and are easily the best in the series. Reach trades in the crisp and vivid world of Halo 3 for a more grungy, muddy, and faded look that appeals to the “it’s the end of the world as we know it” theme. The character and vehicle models look stellar, and there are some stunning shots of distant mountains, luscious coastlines, and a truly breathtaking scene in space. That isn’t to say that the environments in the foreground don’t look drastically outdated when compared to other next-gen AAA titles like Call of Duty, Uncharted, or Gears of War. Respectively, do a side-by-side comparison of a scene from any Halo title to Reach. Outside of a prettier aesthetic, does anything even really look different? There are only so many times Bungie can serve me rolling hills, babbling streams, mountainous terrain, canned corridors and indistinct Covenant infrastructures and spaceship innards before I’m left wondering why I’ve paid for yet another one of their games. Then I remember. The multiplayer, which comes as a surprise to no one, is where Reach shines, and with their last hoorah, Bungie pulled out all the stops with some really intuitive additions. 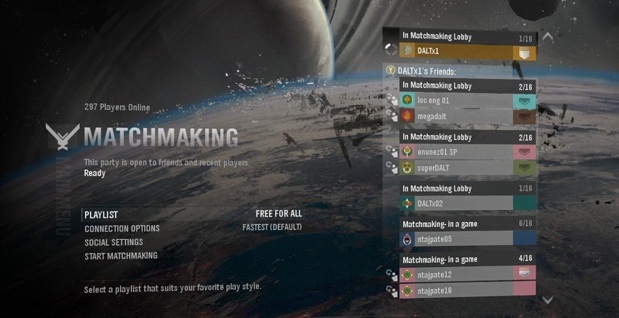 Matchmaking has been given a complete overhaul, allowing for players on your friends list to appear at the main menu with easily accessible access to party systems with the new active roster. By selecting players on this list, you are automatically queued to join their party once they are available or finish their match. There is also a slick new voting system, giving players three match options and a “None of the Above” selection to choose from, which if voted the highest, takes players into a second round of choices. Even with the voting system though, I can’t help but feel like I’ve just been playing the same three game types on the same four maps. You now earn credits (cR) through time spent on the campaign and across all modes of multiplayer, which doubles as both XP and currency, and can be used at the Armory to modify the appearance of your character with purchasable upgrades. It’s initially exciting to finally get to customize a Spartan all to your own until the aura fades and you are left realizing just how little there is to upgrade to. Players are also now penalized for chronically leaving games. Leave a certain number over a certain time and you’re barred from access to matchmaking for 15 minutes. If you’re a perpetual nuisance on your mic and are generally muted by everyone you play with, you are automatically muted to new players. The psyche profile is a player filter of sorts, which allows you to be matched up on four criteria: tone, chattiness, mood, and teamwork. It’s basically an eHarmony forHalo nerds, and while it doesn’t always work, it’s refreshing to know that Bungie cares about our experience. Firefight, the mode made first made available in ODST, is back and better than ever, with a seemingly endless selection of modifiers, making it essentially possible to never play the same game twice. The level of customization in this mode will prevent it from wearing its stay thin, but substantial drops in frame rates during crucial points in the enemy onslaught might leave it to collect dust after your first few gos. New modes also inject a renewed sense of purpose behind the infinite hours you will spend behind your Designated Marksman Rifle (DMR), the sporty new battle rifle substitute. Stockpile is a new spin on CTF, with multiple flags randomly spawning on the map that players have to return to their neutral zone. Every minute, these zones reset and the flags you’ve compiled get added to the score. In Headhunter, players drop flaming skulls upon death that you must collect and deliver to constantly shifting score zones on the map. Elite Slayer spawns everyone as Covenant Elites, only giving access to Covenant weapons and vehicles. The most impressive new game variant though is Invasion, a multi-tiered, objective-based mode similar to Battlefield: Bad Company 2's Rush mode. Two teams of Spartans and Elites battle on Boneyard to either defend or attack a base, respectively. As the Elites advance further into the base and complete the phases of the mission, additional classes become unlocked. After the rounds are over, the team's switch, with a winner being ultimately determined by the team which has managed to assault the base most successfully. The most profound impact to multiplayer is the inclusion of loadouts and their special abilities. Players familiar with Halo 3 will remember being able to carry around a one-and-done defensive item, such as a plasma shield or power drain. 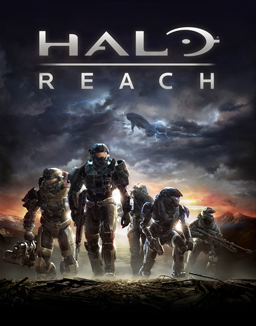 Reach takes that premise a flight of stairs further and completely changes the dynamic of a gun fight with rechargeable perks like a sprint ability, a bubble shield, armor lock (which prevents you from taking damage at the expense of immovability), a cloaking ability, or the jetpack, all of which are also available to you in the campaign. The jetpack wears its stay quite thin though as you constantly hit hidden barriers set in place on the outskirts of maps. Of the thirteen included maps, four are rehashed from past titles. It is ultimately a selection that is vastly lacking and is relying on downloadable content to expand its options from mild to robust in the coming months. My favorite map, Hemorrhage, is just a remake ofHalo 2’s Coagulation, which is just a remake of Halo’s Blood Gulch. Recycling is a common trend with Bungie, which I'm not sure whether to praise or condemn when they bring back the maps I enjoy. As if all of the listed additions weren't enough to keep you from never seeing sunlight, a new set of challenges will be changed daily, rewarding players credits for the successful completion of tasks in both the single and multiplayer portions of the game. Complete them all and you are reward handsomely. It’s such an ingenious dynamic that will undoubtedly leave players coming back again and again. With this being the fifth and final release from Bungie's iconic gaming franchise, one which has pushed the boundaries of our culture and has safely cemented its legacy, many people are quick to praise Reach with sentiment; I am not one of them. Fireworks finales pull out the multi-shot mortar shells. Concert encores bring the band back out to play that last song you really wanted to hear. 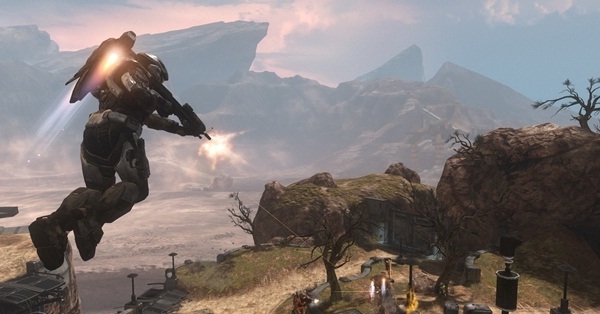 And Halo: Reach…well, it sort of just disappears into the sunset on the back of a Warthog. For a game that has given a community millions of members deep the joy and satisfaction it has provided over a decade and for a community that has provided Bungie a wealth beyond its wildest dreams in return, you would have thought this would have been the end all, be all Halo experience. It instead comes off as an unfulfilling conclusion to an otherwise masterful achievement (see Seinfeld and The Sopranos). For a game based around an elite military squad, Reach certainly didn't listen when they were told to "be all you can be." Halo 3 was such an epic tour de force for video games that I couldn’t help but feel disappointed with Halo: Reach. Going from the epic conclusion to a drastically lackluster precursor to Halo bundled around the redeemable multiplayer at its core has really left me with a perpetual bad taste, considering this is Bungie’s swan song as they ride off to greener pastures. Let’s just hope those pastures aren’t looped and sandwiched between indistinct Covenant corridors and endless mountainous terrain. Good review. I'm sad to say it but I have to agree with you on a lot of points. Except in regards to ODST -- I thoroughly enjoyed ODST's campaign. True, it was a change of pace since you weren't as well-protected as the MC, but that's not necessarily a bad thing. The soundtrack was excellent imho, and the voice acting was great. The character's faces left something to be desired, but I could get over that. The audio file side quest, was fun for me, and I liked the idea of doing battle on a futuristic Earth. Digression aside, I was quite dissatisfied with the Reach campaign. Being a big fan of the storyline, I was hoping to see a lot more of the person you meet in Sword Base. That individual should have been much more involved. I liked the appearance of a particular character during the last mission, but that was too little too late to start making the story interesting by tying it in to H:CE. While a lot of the scenery was beautiful, there were other things that disappointed me greatly. I too experienced frame rate lags in Firefight and even co-op campaign. On one of the levels, you are in what appears to be a nightclub filled with covies. I found a bottle on a couch that was just a solid green, not translucent at all, no label or anything. Maybe I'm being picky but I just expect more attention to detail from Bungie. It looked like something out of Final Fantasy VII. And is it just me or is the driving AI in this game downright horrendous? This was especially disappointing to me because the rocket 'Hog mission would have been so much more enjoyable if only Kat could drive. There were times when the AI would just move back and forth over the same 5-ft patch of dirt, and times when it would simply stop and not go anywhere. In other cases when it actually did move, if you jumped out of the vehicle the AI would keep driving for way too long before it realized it left you behind, and then you would end up having to run pretty far just to get back in. The checkpoints were indeed horrible -- too many times you'd get past one incredibly tough section and die in the next, and find you had to go through both again. I'm not extremely happy with the multiplayer either. Firefight is cool and I like the new levels and Firefight types -- particularly Gruntpocalypse and Rocket Fight. Matchmaking has a few interesting capabilities. My friends still laugh at how, during my first custom game that my friend hosted, the first words out of my mouth were "Why the $#%@ am I holding a golf club?!" into the headset (note: golf clubs in zero-G is great fun). But the armory is a whole big to-do about nothing. Leveling up gets you nothing but bragging rights for your rank and different armor designs -- nothing to change your gameplay options. MW2 had the right idea. More gameplay means new weapons and attachments. Of course Bungie has to do its own thing, but for myself I don't see the armory as a perk that will keep me coming back. The voting system is a good idea, but it would be nicer if tied votes led to the computer making a random pick between the ties. Having it automatically pick the first option is irritating; you have no chance at all to get your way if your game type is lower down the list. On the bright side: lots more chances to get a zombie game. Huzzah! The game type Invasion Slayer is also extremely broken. Spartans spawn with an assault rifle and the Elites spawn with a plasma rifle and pistol...on the 10 mile wide Hemorrhage. Add to that the serious lopsidedness once the Scorpion tank is unlocked for the Spartans and you won't be able to spawn without being killed, resulting in the most obnoxious 15 minutes you may have ever spent with any Halo game. I have a feeling this list is going to be ongoing, as I seemingly discover new things I loathe about this game by the hour. As excited as I was for Reach, I feel myself getting more and more disappointed as I play it. Everything said above about the campaign is spot on. And the multiplayer is starting to get aggravating. I for one am not a fan of the voting system. I played 5 straight SWAT games last last until I quit. I am not a picky person that only plays certain maps, but SWAT is horrible in Reach. It reverts to a larger, more boring version of a MW2 camp fest. Players hole up and camp, and there is little you can do as you play the game without grenades of any type. I remember not getting MW2 when it came out because I enjoyed Halo 3 multiplayer so much, but it seems that Bungie put more effort and time in changing the menus and lobby appearance than they did advancing the game-play of Halo Reach. I am still enjoying the newness of it, but it is quickly becoming less enjoyable and I definitely do not see me playing this once Black Ops comes out, if I make it that far. 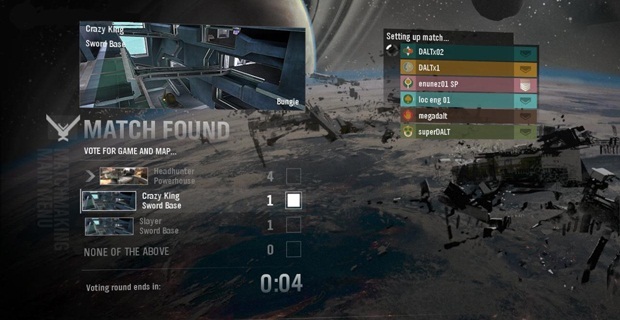 Bungie put more effort and time in changing the menus and lobby appearance than they did advancing the game-play of Halo Reach. As you said, Glass_Joe, the maps seem to melt together. They all just feel really monotonous. I feel like I'm just playing the same maps all the time -- small selection, and none of them particularly unique. It doesn't help that at least 3 are remakes. Even though I liked Blood Gulch, Ivory Tower, and Ascension, this feels like a lame excuse for a lack of originality on Bungie's part. Halo 4 or Black Ops 2?